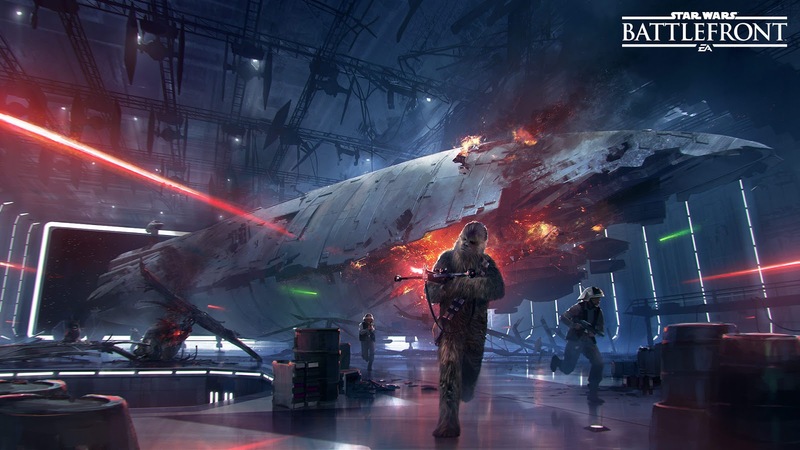 This week at Gamescom, EA announced that Star Wars: Battlefront was receiving its newest DLC. Battle Station takes you to space for the first time and its new mode will let you fight on the Death Star in not one, but three different phases each with their own unique objectives. "In Phase 1 you’ll be flying X-wings and A-wings against TIE fighters and TIE interceptors in space! The main objective in this phase is for Rebels to destroy enough TIE fighters until their Y-wing support can come in to weaken the Star Destroyer’s defenses. 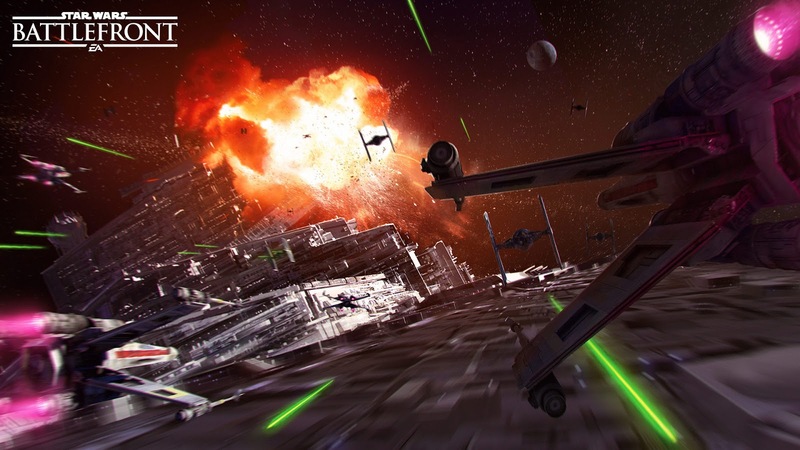 Once vulnerable, Rebel starfighters can attack the weak spots in an effort to bring the Star Destroyer down. In an effort to help defend this key asset for the Empire, players along with AI ships will be set up to help defend the Star Destroyer. "Phase 2 will have players fighting inside this iconic space station among areas inspired by the classic trilogy. Rebel infantry will be tasked with extracting a priority droid from within the Death Star. Amidst the chaos of battle, you’ll be able to gain an advantage by taking up arms as our new heroes Bossk and Chewbacca! "And finally, in the culmination of the new mode, players head back into space where the Rebels need to end the battle once and for all - by blowing up the Death Star! Players can become the hero of the Rebellion, Luke Skywalker, in his Red-5 X-wing as they attempt to destroy the Empire’s ultimate weapon. But beware as Darth Vader has been dispatched to protect the Empire's asset in his TIE Advanced. "Other new content will also be coming to the Death Star expansion including new Star Cards and Blasters, in addition to the aforementioned Heroes, Bossk and Chewbacca." The new expansion becomes fully operational this September.